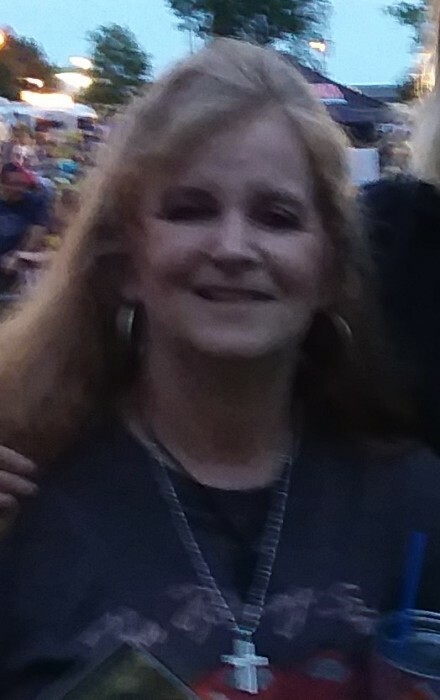 Mary Carla Boggs Denson, age 53, of Sanford, NC, passed away on Wednesday, August 29, 2018 at Central Carolina Hospital. Carla was born in Lee County on October 20, 1964 to the late Thomas Jefferson Boggs and Vera Cole Cothran. Carla worked for TRW and Allied Chemical for many years. Carla loved helping people thru her job as a caretaker for the sick and elderly. She enjoyed camping, fishing, racing, cooking for her family and beautiful flowers. She loved racing go-carts and won many races. Carla was Mark’s biggest advocate in his fight with liver disease. Carla and Mark were a match made in Heaven. In addition to her mother, Carla is survived by her husband, Mark; son, Tyler B. Norris of Sanford; step-son, Matthew Denson of Hasty, NC; two step-daughters, Danielle Denson of Lumberton and Karrie Ellen Denson of Laurinburg; one brother, Michael Boggs and wife, Jackie of Sanford; sister, Phyllis Boggs of Sanford; four special nieces, April, Amber, Jamie and Renee; three great-nephews, Dalton, Noah and Kendrick and three grandchildren, Ava, Harley and Quinton. The family will receive friends at Bridges-Cameron Funeral Home on Thursday, September 6, 2018 from 6:00 PM to 8:00 PM. Funeral service will be held on Friday, September 7, 2018 at 1:00 PM at Open Arms Community Church in Vass, NC with Rev. John Brown and Rev. Larry Martin officiating. Burial will follow in Oak Grove Cemetery in Maxton, NC. Donations to assist the family with funeral expenses may be made to Bridges-Cameron Funeral Home, 600 W. Main Street, Sanford, NC 27332 or for online payments to www.funeraldonationapp.com .